petite green makes more than just terrariums, it creates living pieces of art... Get lost in a miniature world. 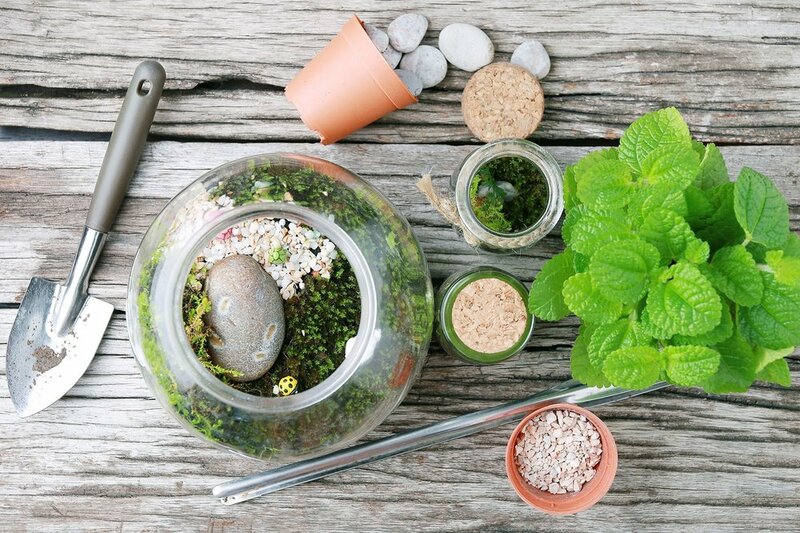 Master the art of terrarium making with a couple of Melbourne’s finest mini landscapers, Amy Wong from Petite Green. 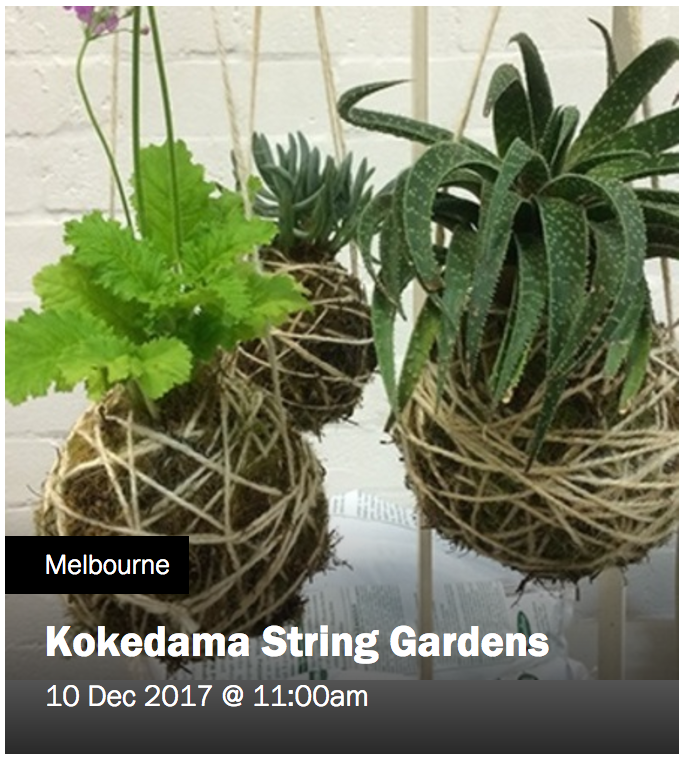 Amy Wong from Petite Green has been running terrarium and kokedama workshops in Melbourne and Sydney for almost eight years. Including lecturing at the University of Melbourne and running corporate events. Petite Green workshops are now held at Green House in Brunswick and other various locations. Learn the art of terrarium making in the 1.5 hr class. Beginner terrarium workshop for open or closed rainforest terrariums. Make a terrarium like a pro! All materials will be supplied including a variety of unique Ferns, Angels Tears and other indoor plants, plastic figurines, soil, rocks and other items to create your terrarium. Everything you need to make 2 of your own unique kokedamas to take home (or give one as a Christmas present)! String Gardens, or Kokedamas as they are commonly known, are said to be the poor mans Bonsai in Japan, but we like to think of them a little differently round here and reckon they're an awesome way to keep small indoor plants for your home. To get you in the festive spirit we'll have an assortment of plants and coloured strings to choose from. You'll get to make 2 of your own unique hanging planters to take home (or give one as a Christmas present)! When it comes to sprucing up your house and health, spending a little green on greens is a worthy investment. It’s not just about improving your indoor aesthetic; even if you don’t normally notice a plant’s presence, seeing a plant can subconsciously make you feel calm and relaxed. That is until you realise you don’t know how to look after it, the leaves start turning brown and limp, then one day you notice it is past the turning point. Oh well you think, “I've never been good with plants, I can’t even keep a cactus alive” you throw it to the curb and start again with a plastic imposter. Never fear, Amy is here and she is going to teach you all you need to know about keeping your indoor plants alive.